What Conditions Can an Ablation Treat? Ablation is a term used in medicine to describe the removal of tissue either by surgery or less invasive techniques. It is used to treat a variety of medical conditions ranging from serious to cosmetic. 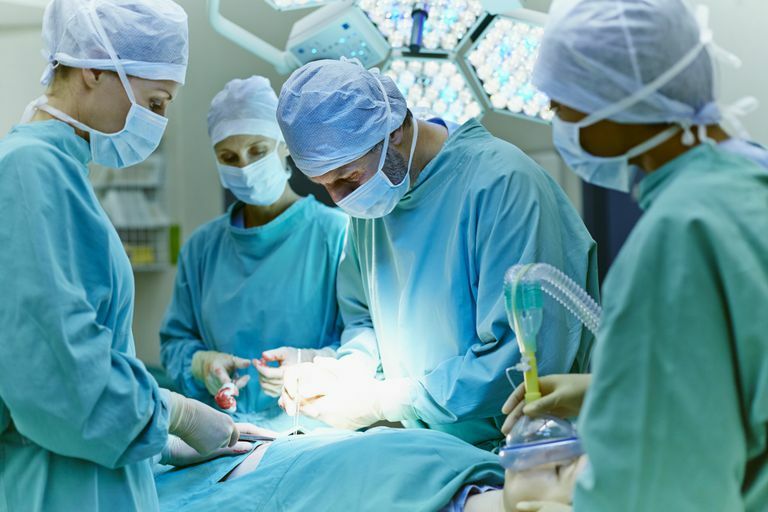 It differs from a resection which involves the partial or complete removal of an organ. An ablation, by contrast, is meant to remove a layer (or layers) of tissue with the aim of restoring normal function. Eye laser treatments used to treat astigmatism are another form of surface ablation. The technique, also known as Lasik surgery, removes the surface cells of the cornea which then regrow to correct the vision disorder. Surface ablation can also be applied to otolaryngologic procedures involving the ear, nose, or throat. One such procedure strips way excess soft palate tissue to treat snoring or sleep apnea. Cardiac ablation is a technique primarily used to correct heart rhythm problems (arrhythmias). Rather the removing tissue to enable regeneration, cardiac ablation aims to destroy tissue in the heart associated with irregular heartbeats. By blocking specific nerve pathways, the electrical signals that trigger the arrhythmias are effectively stopped. Cardiac ablation is typically performed by inserting a thin, flexible tube (called a catheter) through a vein or artery in the groin and threading it to the heart. When in place, a form of energy is used to either freeze or burn the area of tissue. The technique, commonly referred to a catheter ablation, can be used to treat arrhythmias of either the upper chambers (atria) or lower chambers (ventricles) of the heart. A similar technique can be applied to arterial blockages that don't respond to standard balloon angioplasty. Known as rotoablation, the procedure involves the use of a tiny, diamond-tipped drill that removes fatty deposits and restores blood flow. Endometrial ablation is a minimally invasive procedure that destroys the lining of the uterus (known as the endometrium). The aim of the procedure is to reduce or stop the abnormal bleeding of the uterus. Bone marrow ablation is commonly used to remove bone marrow in advance of a bone marrow transplant. It is not performed mechanically but rather with a combination of chemotherapy and radiation. Ablative brain surgery is used to treat certain neurological disorders such as Parkinson's disease and cluster headaches. Laberge, B.; Leyland, N.; Murji, A. et al. "Endometrial Ablation in the Management of Abnormal Uterine Bleeding." J Obstet Gyn Can. 2015; 387(4) 362-76. DOI: 10.1016/S1701-2163(15)30288-7. Safavi-Naeini, P. and Rasekh, A. "Update on Atrial Fibrillation." Tex Heart Inst J. 2016; 43(5): 412-4. DOI: 10.14503/THIJ-16-5916.